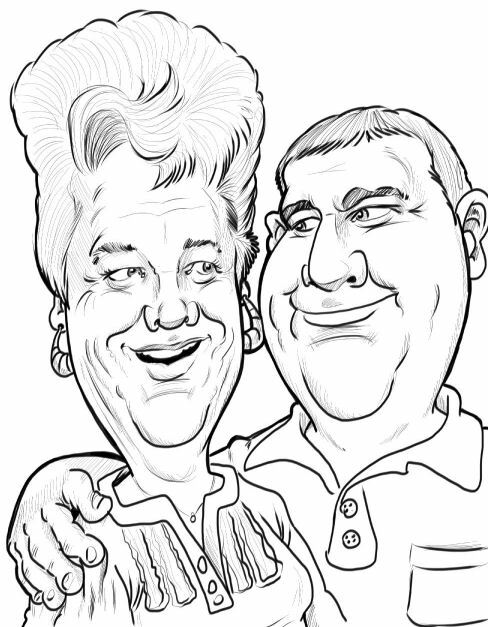 What better for an anniversary gift than a fun caricature. Here is a great example in BW created by artist Eddie. See more of Eddie’s work and order online.